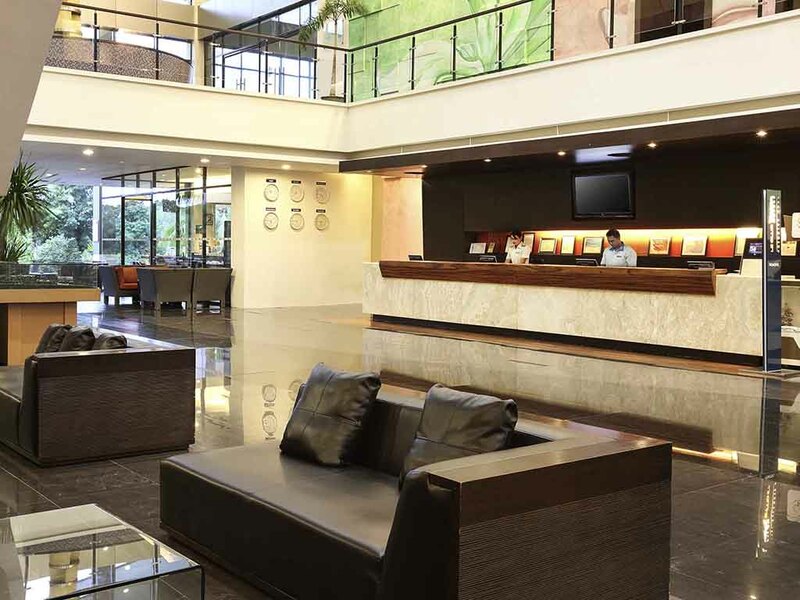 Touch down in 4-star comfort at Novotel Manado Golf Resort & Convention Center and treat yourself to tropical tranquility 10 minutes' drive from the airport. Features 200 rooms with Contemporary design and local touches, timber floors, and large windows make your room a calm haven. A dip in the infinity pool overlooking the Volcano and breakfast on the mountain-view terrace start your day in style. The hotel also offers a Golf Course, Kids Corner, Fitness Center and a Spa Services. A 65- minute journey from the hotel by car and boat brings you to the heart of attraction in Manado Bunaken National Park, one of the top dive site in the world. Visit picturesque highlands by a 40-minute car ride. Shop at neighboring malls. The latest Novotel all day dining concept, The Square features an interactive show kitchen with an Asian and international buffet served for breakfast, lunch and dinner. An a la carte menu is also available. Recharge your batteries after a dip in the pool with a delicious range of cool drinks including juices, beers and wines. Salads and light snacks are also available at this bar, which offers great mountain views.